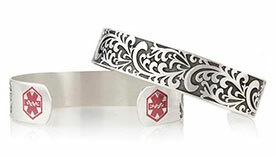 Choose the style you prefer, and we will engrave it with your Celiac diagnosis and other pertinent information. People with Celiac Disease are often surprised to learn that they need to wear medical ID jewelry, commenting that they simply do not eat gluten-containing foods. However, gluten isn’t limited to foods. In fact, gluten is a common ingredient in soaps, cosmetics, personal care items, and medications. 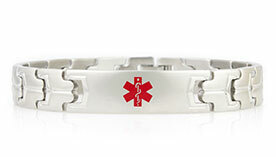 In an emergency, EMTs and ER personnel need to know about a Celiac diagnosis so they can avoid gluten-containing medications, exposure to which could quickly worsen an already complex situation. 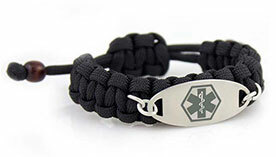 As people may be disoriented, scared, or unconscious in emergencies, wearing a Celiac Disease medical ID helps provide immediate access to this critical information. 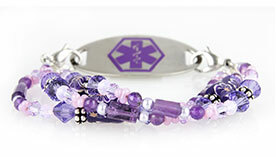 If you or someone you love has Celiac Disease, medical ID jewelry is a true necessity. We recommend listing your name, diagnosis(es), any medications, all allergies, and emergency contact numbers.